You may not know it but 2015 has been declared, by no less an august organisation than the United Nations, as the International Year of Light and Light-based Technologies. I had the pleasure of attending the international launch in January at the UNESCO headquarters in Paris, which received presentations from five Nobel Laureates. We were reminded of the history of optics and the science of light – going back to 1015 when Ibn Al Haythem published his Book of Optics. He is recognised for producing one of the first cameras (funny to think that a piece of technology in your smartphone is 1000 years old) and for suggesting that we see because of light going into our eyes rather than our eyes sending out some sort of probing beam. Other anniversaries include 200 years of the wave theory of light (Fresnel), 150 years of electromagnetic waves (Maxwell), 100 years of general relativity (Einstein) and 50 years of optical fibre communications. The UK launch of the International Year of Light was also held in January – at St James’s Palace, London, hosted by the Duke of York, who is the UK patron. Many local events have been planned to celebrate the Year and details can be found on the UK web site. I have already presented one event on “Light for Life” at Café Scientifique in Didcot. The Year is not only about science. Light is important as an art-form, both man-made and natural. Too much light can be an issue in our modern world – blocking out the spectacle of the night sky. It is supposed to be the year in which people all over the world consider and actively promote the way that light and light-based technologies can make a positive contribution to energy, education, agriculture and health. It is stunning to realise that when the sun goes down, about a third of the world's population don’t have access to on-grid electricity for light. These people use candles or kerosene lamps. Both are expensive and their use is limited meaning that children don’t have the opportunity to study in the evening – a key means of exiting poverty. The health implications of reading in close proximity to the fumes of a kerosene lamp are horrendous. Statistics that were presented at the opening ceremonies in Paris and London suggested that more people in Africa die from fume-related illnesses than die from HIV/AIDS. A number of charities are providing alternatives to these lamps, usually based on LED technology. Where sunlight is abundant, it is sensible to use that sunlight to charge batteries that can power LED lanterns for use in the evening. One charity is selling these to communities at a price equivalent to one month’s kerosene fuel costs. The lanterns are likely to have a ten-year life and are free to run. The International Year of Light brings together scientific societies, educational institutions and unions from all over the world. A key event for the UK is the hosting of the 28th Session (Conference) of the International Commission on Illumination (CIE from the French name) in Manchester at the end of June/beginning of July. Ann Webb, the first female president of CIE, is based at Manchester University. As honorary Director of Division 6 “Photobiology and Photochemistry" I will be there, as will a number of my PHE colleagues who are experts on the health and wellbeing issues of human exposure to light. The Conference is particularly important for the UK because the last time it was here was in 1970. This is a good time to be talking about light, as many people did during last week’s eclipse, and specifically a timely point to mention UV (ultraviolet radiation from the sun). Earlier this month we started posting live measurement updates of UV levels on DEFRA’s UK-AIR. There, you can check out exact UV levels from one of our nine monitors dotted around the UK and consider UV levels nearest you. This is something we’ve been working towards for many years (our first monitoring station is coming up to its 25th birthday) and we now think we’ve sorted out the system so that you can access it on a tablet or mobile phone wherever you are. We hope that this summer, and perhaps even this spring, it’ll become a really well used resource. Find out more about how UV can have both positive and negative effects on health from the Met Office. It’s interesting to see so much public discussion in this field at present, especially when it’s one which we’ve been closely involved in researching for such a long time. 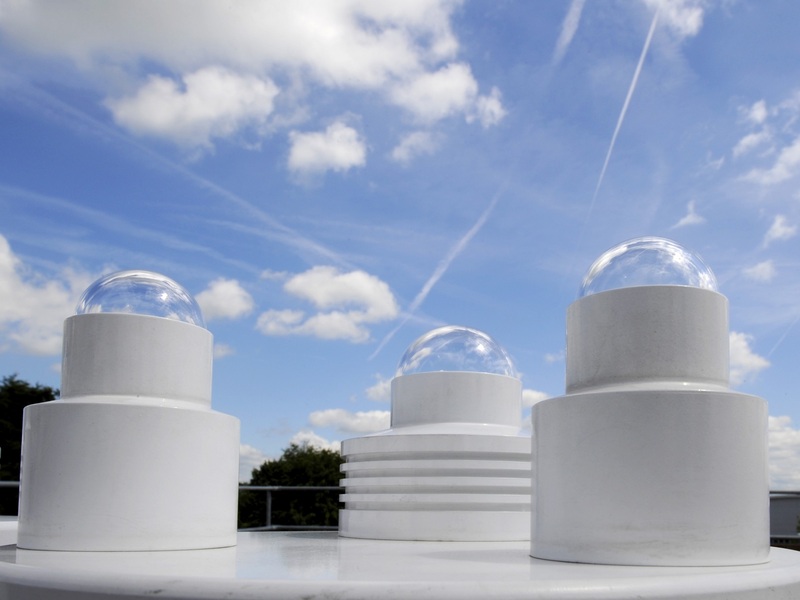 As well as our UV monitoring we’ve research programmes into the health benefits and detriment of light, at the right and wrong times of day, how light can affect how and when we sleep and the effects that different kinds of lighting technology are having on us and our eyes. At the risk of a pun I’d say 2015 is definitely shaping up as a year to make light of. Thanks very much for an interesting blog, with history and meaning. It was good to point out the positive and detriments of light and the link to poverty. I hope the 28th Session (Conference) of the International Commission on Illumination (CIE from the French name) in Manchester at the end of June/beginning of July, goes well John and there continues to be a focus on the manner in which light can support those in most need.